Robert Ziegler shares the real reason he was terminated as a public school teacher in Omaha, Nebraska. As seen in the upcoming documentary film "IndoctriNation: Public Schools and the Decline of Christianity in America." Another shooting incident in the US. A shooter at a middle school in Nevada shot a teacher dead and injured two other students before turning the gun on himself. The incident happened just before the scheduled start of classes. Reports say the shooter was a student at the school. The middle school and an elementary school next door were evacuated after the shooting. The incident was the latest in a string of shooting rampages across the United States in recent years, which have reignited a national debate over gun control. A Palestinian kindergarten teacher from Hebron al-Khalil has filed a complaint against the Israeli military. The young woman says she was severely beaten and tortured during her detention at an Israeli prison. Hossien Gharedaqi is a simple teacher, who is also a professional cycle tourist. He lives in a remote village in northwest of Iran. But his latest tour handed him a memory which he would never forget. During his recent tour of the United Arab Emirates he was detained and imprisoned on allegations of espionage activities. He says he was kept in jail for 78 days in the subhuman conditions with no access to basic needs. This comes as Hossien Ghare daghi says travels to different countries with the message of peace and friendship for the world. Although Hossein is now been free, the Iranian foreign ministry says it is still following up the case through diplomatic channels. The accusation of espionage seems to have become an instrument in the hands of certain countries to put ordinary nationals of other countries in prison for a period of time. This comes Iran has always treated foreign prisoners inside the country through Islamic clemency and in return expects other countries to respect its nationals in different conditions. What big difference does it make if I follow a conditions fulfilling Marja\' Taqleed or not? Is it really that big of a deal? How bad can it get? Hujjatul Islam Qasemi is a Howza teacher in Qom, Iran. 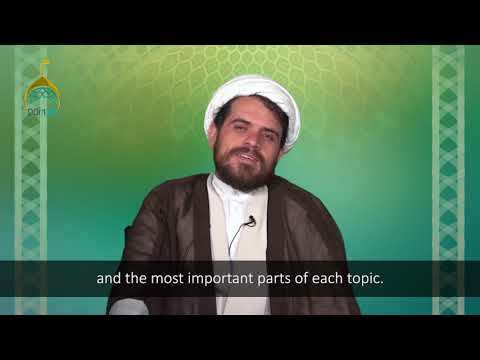 This episode: - Introduction - A modern approach - The meaning of Wilayat-e-Faqih - Success of this political system Hujjatul Islam Qasemi is a Howza teacher in Qom, Iran. This episode: - The crux of Wilayat-e-Faqih - What does Wilayat-e-Faqih mean? - Characteristics of the Wali-e-Faqih - Authority of the Wali-e-Faqih Hujjatul Islam Qasemi is a Howza teacher in Qom, Iran. This episode: - Distinguishing the topic - Is Wilayat-e-Faqih a purely Fiqhi issue? - Prophethood, Imamate, Wilayat-Faqih - Suspension of the laws of Allah Hujjatul Islam Qasemi is a Howza teacher in Qom, Iran. This session: - The argument of Narrations (hadith) - Are the narrations of Infallibles a proof? 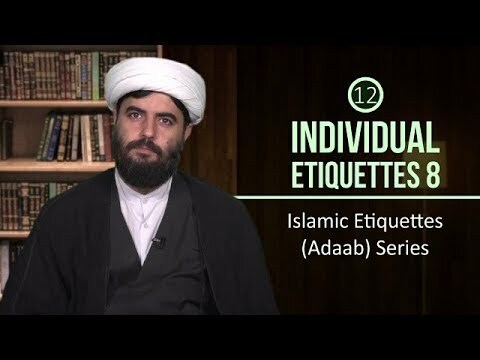 - How to resolve a dispute between believers? - Imam Sadiq\'s (A) guidance Hujjatul Islam Qasemi is a Howza teacher in Qom, Iran. 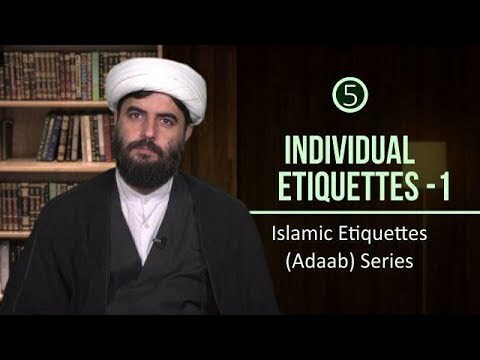 This session: - Recap of first three arguments - Seerah of the Infallibles - The model of Representatives - Story of the 2nd Caliph Hujjatul Islam Qasemi is a Howza teacher in Qom, Iran. This session: - Doubts regarding Wilayat-e-Faqih - Who becomes the Wali-e-Faqih? - Does every Faqih have authority over Muslims? - The process of identifying the Wali-e-Faqih - The popular support and religious legitimacy Hujjatul Islam Qasemi is a Howza teacher in Qom, Iran. This session: - Individual Ettiquettes - Outward beautification - In the life of Imam Khomeini - Facets of individual etiquettes - Clipping the nails Hujjatul Islam Haq Panah is a Howza teacher in Qom, Iran. This session: - Oral hygiene - Emphasis of Islam on Oral hygiene - 12 Qualities of brushing the teeth - Oral hygiene and diseases - Oral hygiene and increase in memory Hujjatul Islam Haq Panah is a Howza teacher in Qom, Iran. This session: - Wearing ring for beauty - Which hand to wear ring in? - Which finger to wear ring in? - Which stone should one wear? - What type should be the ring itself? - Engravings on the stone of the ring Hujjatul Islam Haq Panah is a Howza teacher in Qom, Iran. This session: - Doing Wuzu before eating - Doing Wuzu after eating - Bismillah before eating - An advice from Imam Ali (A) - Safety from bodily harm Hujjatul Islam Haq Panah is a Howza teacher in Qom, Iran. This session: - Use of Salt with meal - Medical Science & Hadith - Use of Right Hand to Eat - Instruction for Children - Doing Du\'a Hujjatul Islam Haq Panah is a Howza teacher in Qom, Iran. This session: - Chewing your food well - Benefits of Breakfast - Menu for Breakfast - Importance of Breakfast & Dinner - Importance of Lunch - Timing of the Dinner Hujjatul Islam Haq Panah is a Howza teacher in Qom, Iran. This session: - The etiquettes of drinking - Reciting Bismillah - Consuming clean, pure, halal water - Consuming intoxicants - When to consume water? - Cold or hot water? Hujjatul Islam Haq Panah is a Howza teacher in Qom, Iran. 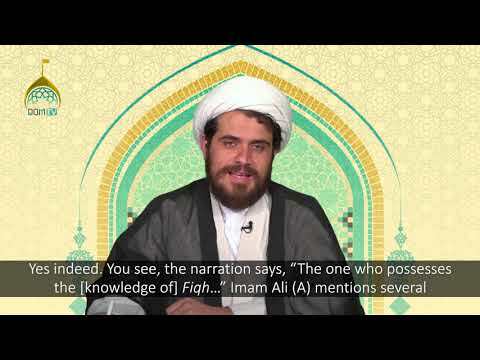 This session: - Saying Alhamdolillah after drinking - Remembering the thirst of Imam Husayn (A) - Salam on Imam Husayn (A) - Curse on the killers of Imam Husayn - Hadith from Imam Sadiq (A) - Such High Reward Hujjatul Islam Haq Panah is a Howza teacher in Qom, Iran. This session: - Sleeping - Physical Need - Spiritual Need - Etiquettes of Sleeping - Cleaning the mouth - Brushing the teeth Hujjatul Islam Haq Panah is a Howza teacher in Qom, Iran.